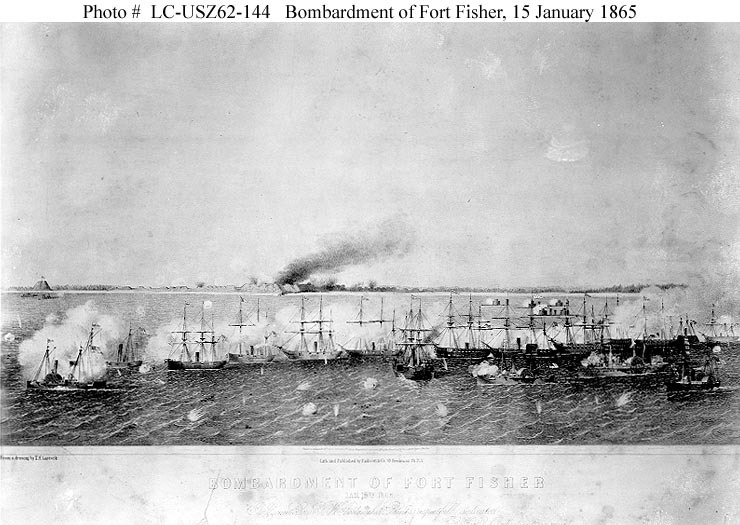 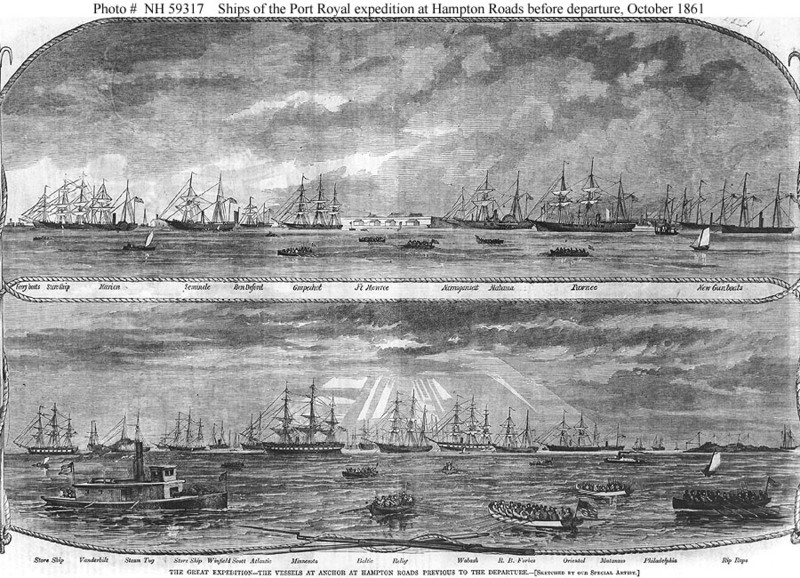 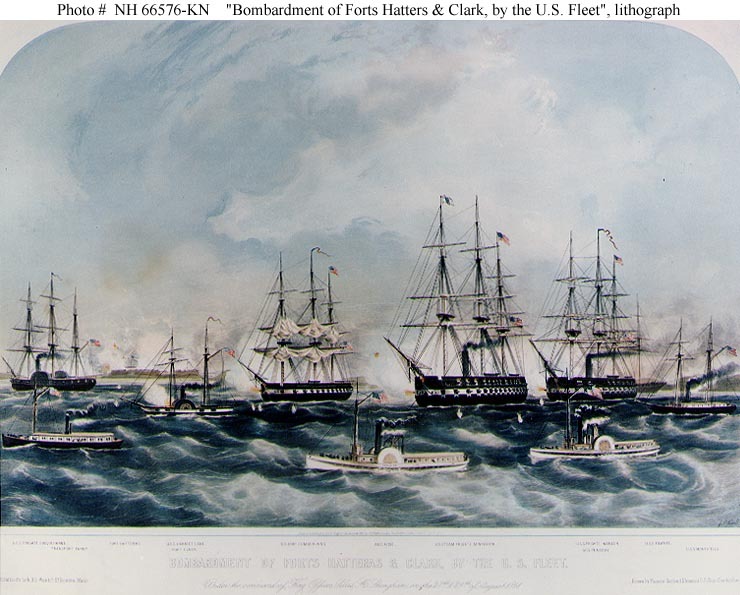 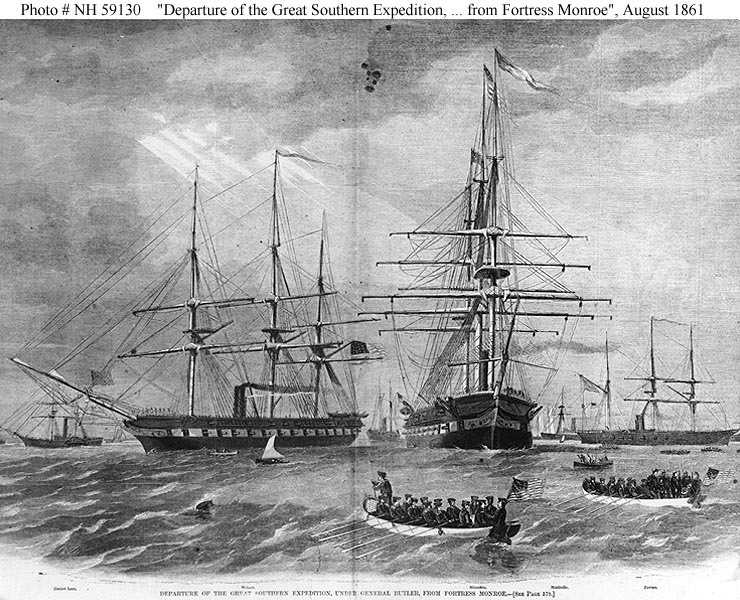 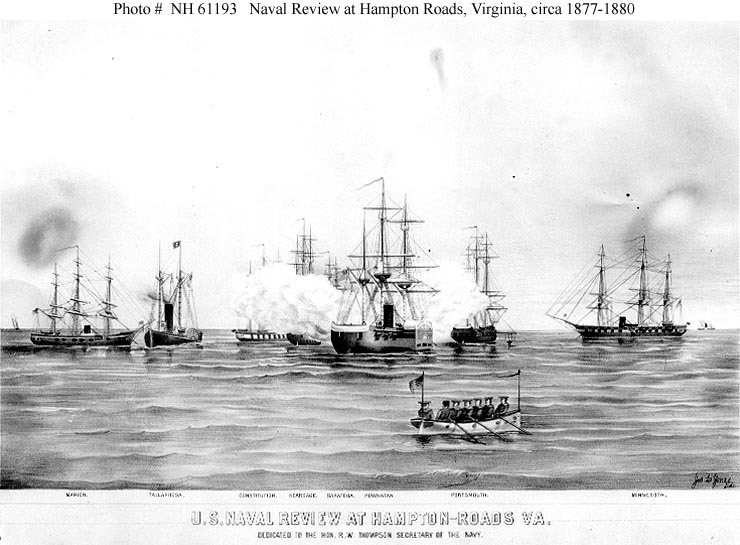 Successfully attacked Fort Clark, 28 August 1861, and Fort Hatteras, 29 August 1861 at Hatteras Inlet, N.C.
Decommissioned, 16 February 1865, at Portsmouth, N.H.
522k USS Minnesota (center), USS Susquehanna, USS Pawnee and other Union warships bombard Confederate forts during the Battle of Hatteras Inlet Batteries. 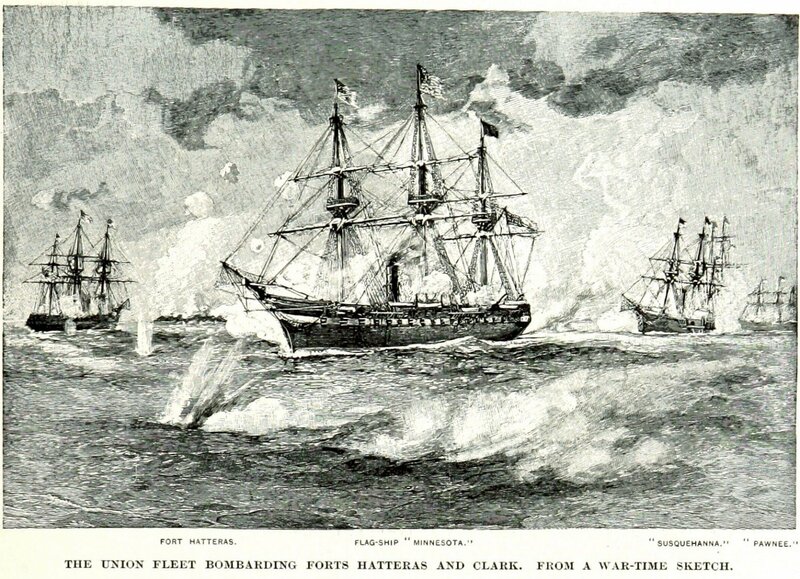 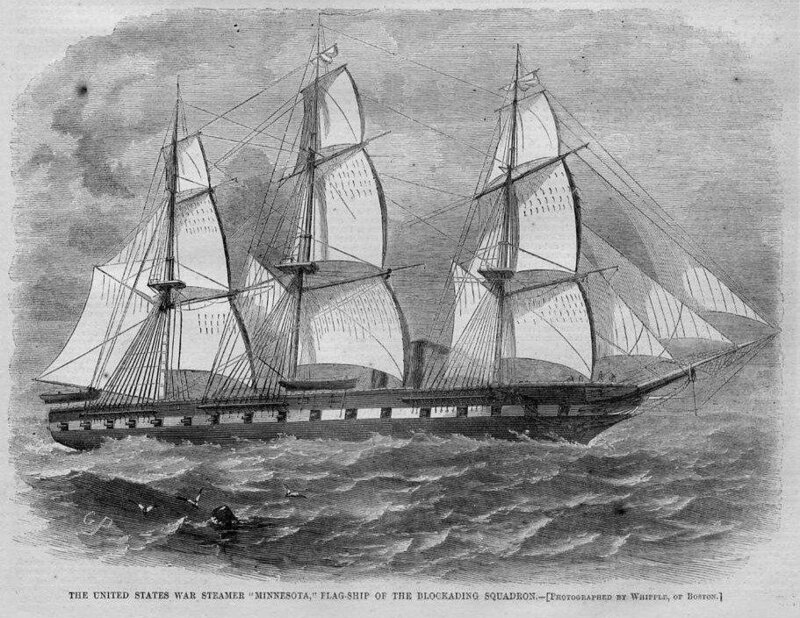 280k Image from Harper's Weekly depicting one of the Cheeney-designed, Richmond-built, Confederate submarines, attempting to attack the steam frigate USS Minnesota, flagship of Federal squadron blockading the mouth of the James River, in early October 1861. 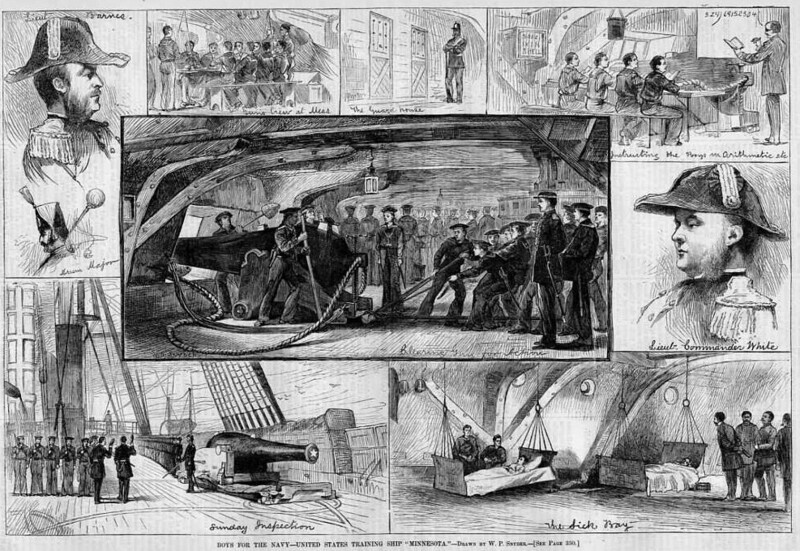 278k USS Monitor takes leave of USS Minnesota to engage CSS Virginia, March 9, 1862, at Hampton Roads, VA.
241k USS Minnesota as she appeared in 1871. 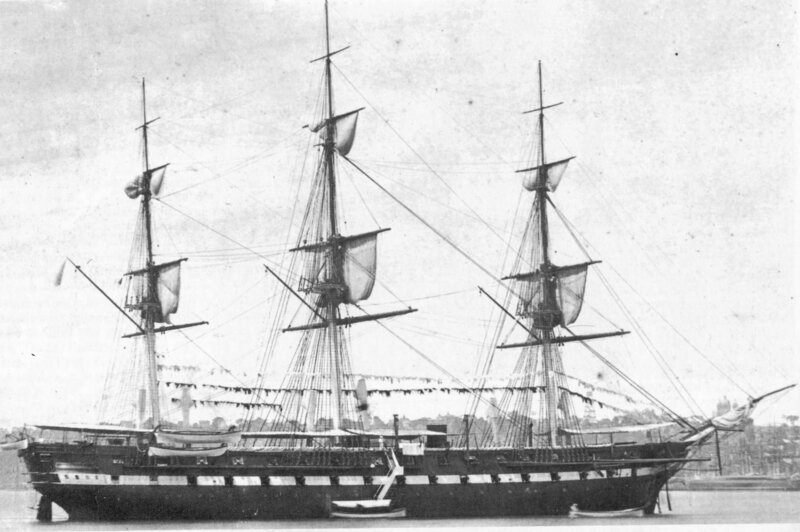 Note the trim, compact lines, the guns in open gun ports. 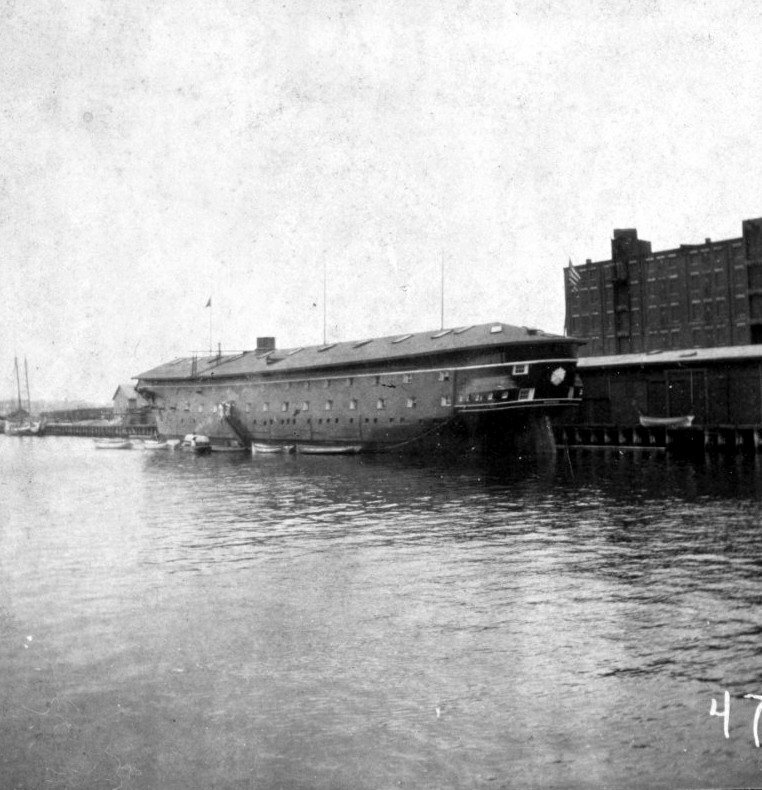 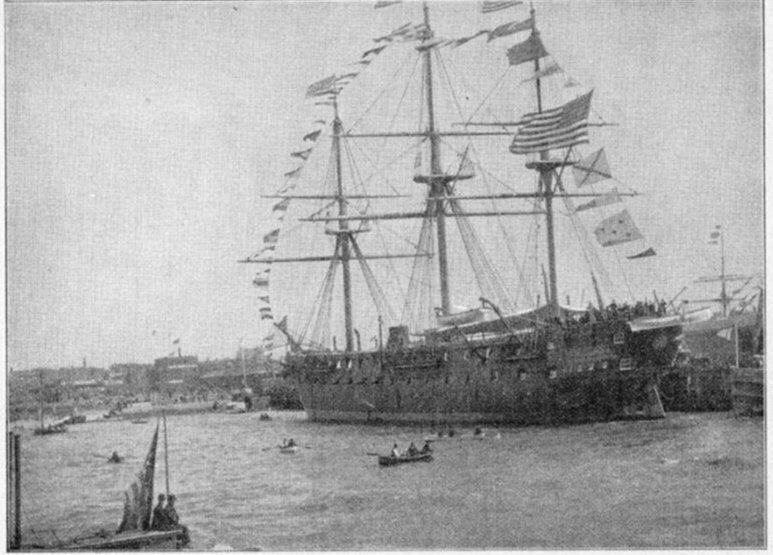 117k USS Minnesota housed over as a training hulk, possibly while assigned to the Massachusetts Naval Militia in 1895-1901. 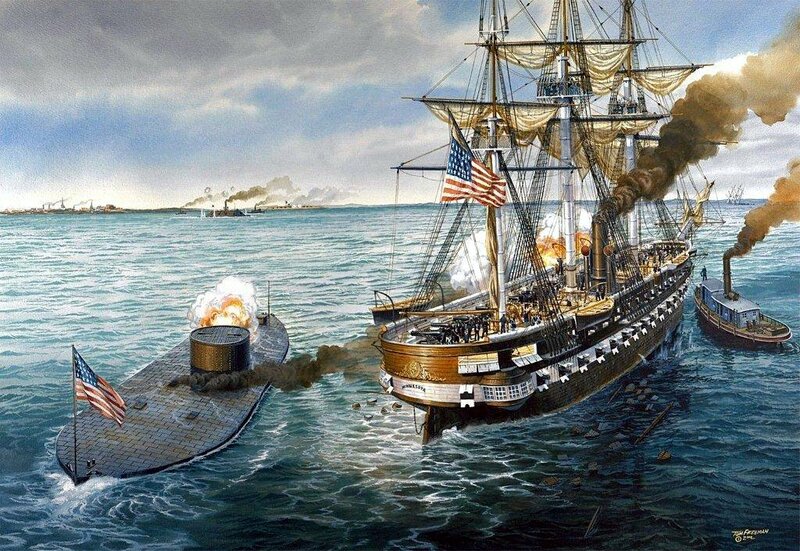 291k The cast brass bell from USS Minnesota. 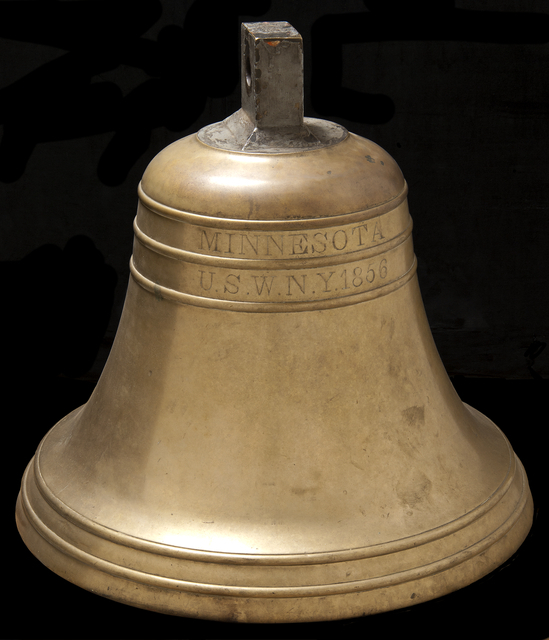 The bell is engraved with "Minnesota U.S.W.N.Y 1856".